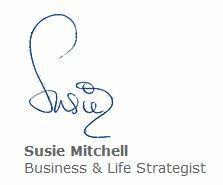 For over 6 years I have run a business in Training, Business Coaching, Business Growth Strategies and Marketing. I also host my own ‘Inspirational and Motivation’ Events and Workshops, and consult from time to time on radio and appear in Regional newspapers regularly. I predominately work with High net worth individuals and Corporate Companies, from the CEO’s of the companies, to the Managers of the teams. Their turnover is anywhere from 500k to 150 million. The market place is Luxury Retail, Wealth Management , Internet , Sales , Engineering, PR, Manufacturing, Luxury Hotels to name a few. I have built my business from 0 to a six figure turnover, and have 3 Consultants who work alongside me as necessary. I LOVE what I do, from helping people in personal development, as well as professional development! It’s been an amazing journey, still growing, still developing and still learning. I have learnt so much from my clients, from how different ‘people’ are, (‘patterns’ can be seen over time ),to using all my NLP skills to ‘read and understand ‘ my clients, and if people ‘put into action’- they achieve outstanding success! I also use a lot of the strategies I have learnt from people like Tony, Jay Abraham, Stephen Covey, Brian Tracy to name a few, and I am constantly reading books by the bucket load, as one new distinction may help one of my clients make a huge impact on their business. My passion is helping people make dramatic internal shifts, which fulfils their dreams and ambitions and I get outstanding results with my Corporate Coaching and Personal Development clients from all types of backgrounds. I believe in helping each other hence my vision and purpose of this blog is to help each other by sharing best practise, information, amazing stories, motivation and a bit of fun thrown in!